SYDNEY: Major beverage companies Coca-Cola Amatil, Schweppes Australia and Lion Pty Ltd have challenged the cash for containers recycling scheme introduced by the Northern Territory. As per sources, the combined application filed by the three companies is under consideration of the Federal Court. The Federal Court is expected to consider the application today. The cash for containers recycling scheme essentially involves a 10 cents deposit for each drinking can which is refundable upon return of the container to the designated recycling agent. The scheme has been in place for almost an year. The privately owned NTRS which used to refund the customers with the deposit money shut its three depots following delay in collection of the funds from the coordinators which in turn were paid to the customers. The scheme is successfully operating in Western Australia for decades now. 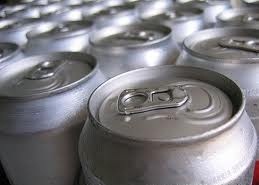 The beverage companies say they were forced to hike the prices of the canned drinks to cover the cost of the recycling scheme. Coca-Cola has announced that it will bring down the prices of the canned drinks, if the Federal Court ruling comes in their favor. As per reports, the recycling scheme has failed to work in Northern Territories as two-thirds of the cans sold are not being returned to recycling facilities.